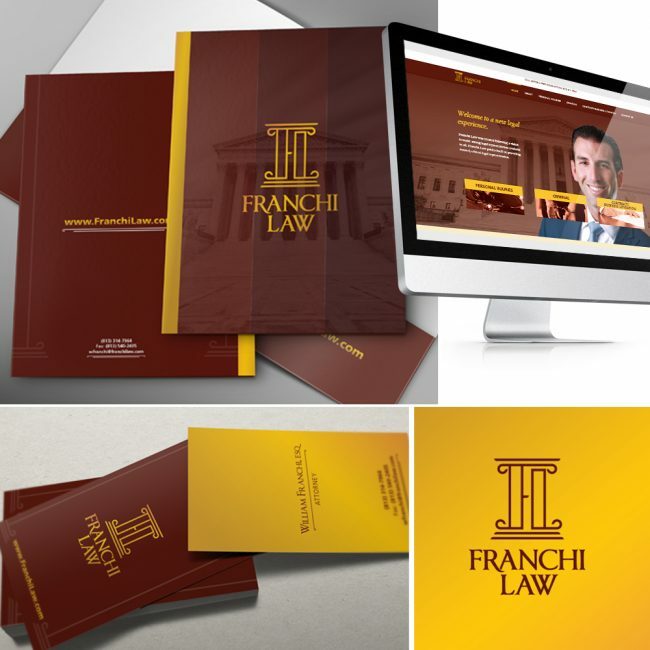 Franchi Law was created following a vision to make strong legal representation available to all. Franchi Law prides itself on providing trusted, ethical legal representation. William Franchi approached the Shake team searching for a logo that was professional and unique. Using bold colors of maroon and gold in correlation with the column symbolism establishes an agile and tenacious representation. The team carried these themes throughout all platforms including website and stationery design.